It may come as quite a shock the first time you hear Adewale Akinnuoye-Agbaje speak. The distinctly British accent coming from someone with such a strong Nigerian name is likely to be the cause of the confusion. If you read on you will come to know about the English actor and former fashion model that is sometimes called Triple A. Defining Adewale Akinnuoye-Agbaje based on his career is definitely a journey. He is very well known for the roles he has played in various movies over the years. The common ones, of course, are Lock-Nah in The Mummy Returns, Nykwana Wombosi in The Bourne Identity, Mr. Eko on Lost, and Simon Adebisi on Oz. He likewise provided the voice to the title character on the animated series Major Lazer, Dave Duerson in the NFL biopic drama Concussion, and Killer Croc in Suicide Squad. He also made an appearance in the fifth season of the HBO series Game of Thrones as Malko. The former model and actor is also looking to launch a career in directing. His plan was to start that with a semi-autobiographical film based on his childhood, named Farming. All in all, he can be seen as an Actor, fashion model, writer, director, and producer. 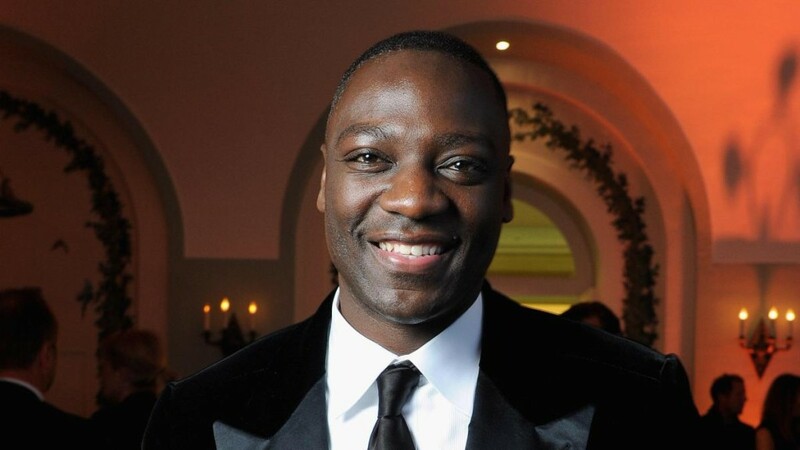 Going back to his early life, however, Akinnuoye-Agbaje was born in Islington, London on 22 August 1967. His parents are Nigerian, from the Yoruba tribe of the country, who were at the time students in the UK. His parents gave him to a white working-class family in Tilbury. It was a common practice in the UK at the time when parents intended for their children to have better lives. Akinnuoye-Agbaje lived in his foster parent’s house with at least ten African children, including Akinnuoye-Agbaje’s two sisters. The foster family was not particularly well-off as the father made a living as a lorry driver. By the time he was eight years old, his biological parents brought him back to Nigeria to expose him to the culture of his homeland. He returned to Tilbury shortly after and struggled to reconcile the two cultures that were now his. This led to a rough teenagehood where he joined a local skinhead gang in order to escape racial persecution at their hands. By 16 years of age, he was already a violent thief and his foster parents reacted by sending him to a boarding school in Surrey where he ultimately attempted suicide before coming to terms with his background and turning his life around. After turning his life around, he went to earn a Law degree from King’s College London. He followed it with a Masters in Law from the University of London. It was while he was a university student that he worked in a clothes shop where he was introduced to the world of modeling. The modeling career led him to Hollywood and his film career started with a 1995 role in Congo and the rest they say is history. In 2009, he was rumored to be in talks with Marvel Studios to play the superhero Black Panther in a proposed film of the same name. When Marvel did, however, announce the Black Panther film and release it, it was with Chadwick Boseman in the title role. The film he has proposed for his directing debut, Farming is supposed to reference the practice of Nigerian parents “farming out” their children to white UK families which he experienced when he was younger. May 2017 saw the casting announcement for the film with Damson Idris in the lead role as Enitan, and Kate Beckinsale playing his abusive, neglectful foster mother. Gugu Mbatha-Raw was also announced as his teacher and mentor. Again on the personal front, Akinnuoye-Agbaje is a Nichiren Buddhist and a member of the Soka Gakkai International Buddhist association. Adewale Akinnuoye-Agbaje stands at 6 Feet 2 Inches. He wears his height well and his height and physique have been put to good use in his career with the types of roles that he is often cast for. It would also have served him well in his previous career as a model in Milan before transitioning to acting. The 50-year-old actor is not married, in fact, he has not been linked with any special love interest for quite a while. He is said to place a premium on long-lasting relationships where he and his partner can be faithful and enjoy each other. Everyone will surely be expectant about any news on the famous actors love life even though a few ladies should be happy with his still single status.